When it comes time to open your pool again for the new season, you may find yourself wondering if you would be better off just keeping it closed for good. Filling in a pool with dirt is a fast, affordable way to remove the pool and transform your backyard. By using Maryland fill dirt in your project, you can minimize the chances of the filling shifting or causing other concerns. While working with a professional pool removal contractor is the best way to ensure a high-quality fill, you may be interested in tackling the project yourself. Here is what you need to know about this DIY job. Before picking up your first shovelful of dirt, determine the cubic volume of your pool by measuring the length, width, and depth of the pool in feet, then multiplying each of them by 27, which is the amount of cubic feet in a yard. This is the total cubic yardage of your pool and the amount of fill dirt you will need to finish the job. It is also important to obtain any permits that might be necessary before beginning. Working without a permit could result in fines and a delayed project. Carefully survey your property and review blueprints to take note of any gas lines, electrical wires, telephone cables, pipes, and other potential obstacles, then shut off and close any water pipes going into the pool. Hitting or breaking one of these elements during your filling process could mean serious damage to your home and equipment, and it is important to be aware of them before you begin. It may be helpful to place flags or other markers near these problem areas to help you avoid them once you are behind the controls of your excavator. Next, order your materials. You will need to rent an excavator with rubber tracks, which will protect your lawn. A machine with a blade attachment is not necessary but can help with the grading process later on. You can then order dirt for filling. 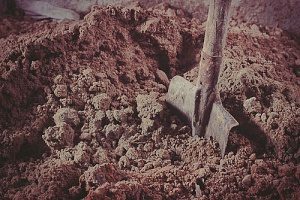 Most of the material you order should be fill dirt, which contains little to no organic matter and creates a tight seal in the ground. A smaller percentage of your dirt should be topsoil, which is ideal for grass and garden plants and provides them with the nutrients they need to survive. 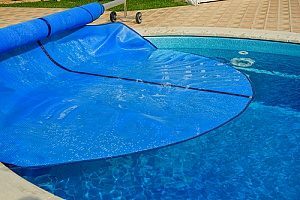 Before filling in the pool, remove any hardware, such as slides, stairs, filters, and rails. Then, you can begin breaking up the bottom of the pool. Depending on the material of your pool, you may be able to do this with the excavator’s bucket. For a concrete pool, use a heavy duty drill to drill holes around the pool bottom after draining it. The breakdown process ensures proper drainage, which protects your work and prevents it from turning into mud during the next storm. You can then demolish the sides of the pool and remove the debris. Finally, it is time for the fill dirt. Use the excavator to transfer dirt into the hole by pushing it or picking it up with the bucket. As the dirt reaches the top of the pool, drive over the layers with the excavator to pack it in, which helps prevent settling. Grade the area, if possible, and cover the remaining three to six inches of the pool cavity with topsoil to prepare the area for grass or plants. Your pool should now be completely filled, and your backyard is ready for its next stage. You can safely place a garden, small shed, patio, or other relatively lightweight outdoor element on the area formerly occupied by your pool. Adding a dwelling area, such as an extension to your home or a standalone apartment, is not recommended for do it yourself pool fills. Choosing to fill in your pool yourself can be a great money saver. Rather than paying for someone else’s labor and materials, you will pay only for the materials, saving a significant amount of money. For those who enjoy home improvement projects, removing a pool can be an enjoyable way to spend a few days. It offers a rewarding challenge and a strong sense of accomplishment at the end of the day. While pool removal is a large project, it can often be completed in just a few days, offering a relatively fast payoff for homeowners who are determined to take on the job themselves. In many cases, homeowners choose to hire a professional contractor. While this option is more expensive, paying for a contractor’s experience can be for the best. Contractors will be able to complete the job in a timely manner thanks to their familiarity with the process and with operating machinery. They are also better able to avoid gas lines, electrical components, and other potentially dangerous elements that could cause major issues if disrupted during the filling process. In the event that something does go wrong, contractors carry insurance that will allow them to fix the problem with no cost to you. Without a contractor, you may be left paying for that damage yourself, spending more money than you save. Finally, hiring a contractor increases the likelihood that your pool fill will be completed correctly. If you fail to properly drain, excavate, or fill your pool, you may be at risk for sinkholes and other damage to your lawn. This can be expensive to repair, and you may find that you need the services of a contractor to fix them, after all. 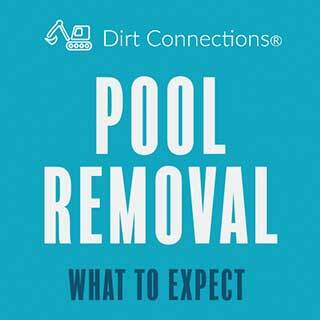 Whether you are planning to fill in your pool yourself or decide to seek out the services of a pool removal contractor, Dirt Connections can support you. 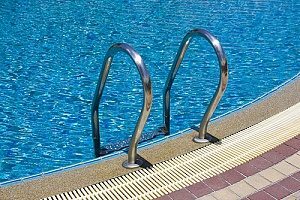 The firm’s experienced contractors can assist with full and partial pool removals. They can also provide guidance for how much fill dirt to purchase for your DIY project. 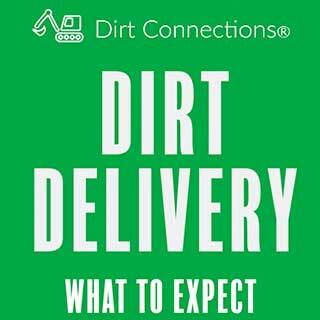 Dirt Connections offers free fill dirt delivery as well. 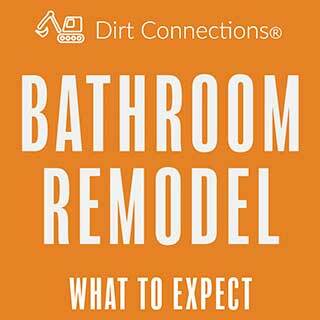 Contact Dirt Connections today for more information and to schedule your free fill dirt delivery.